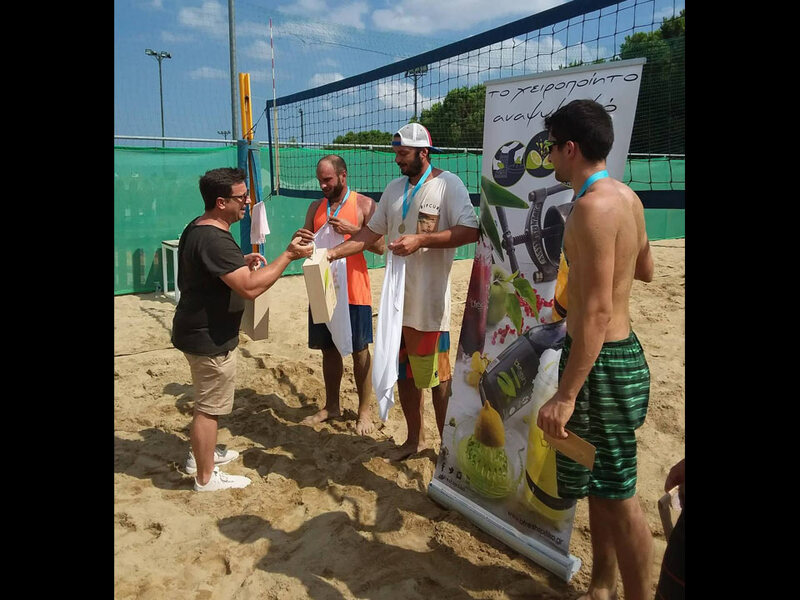 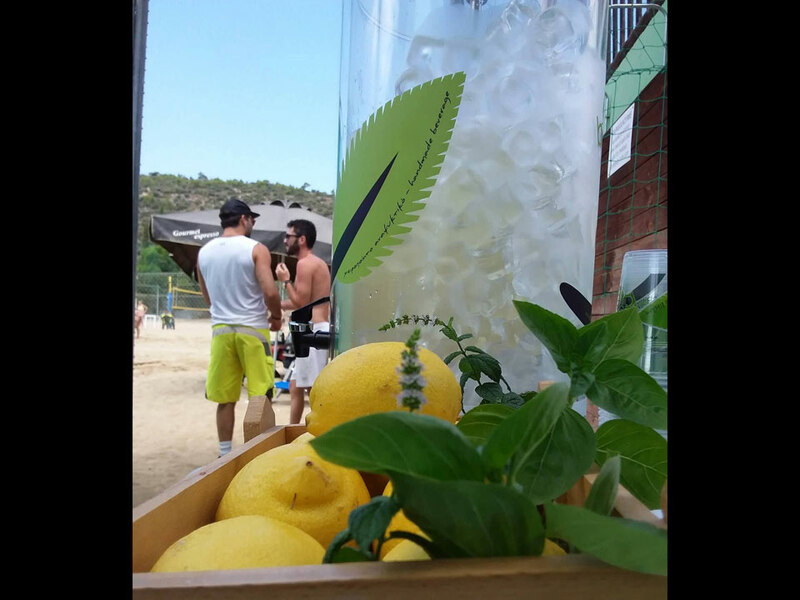 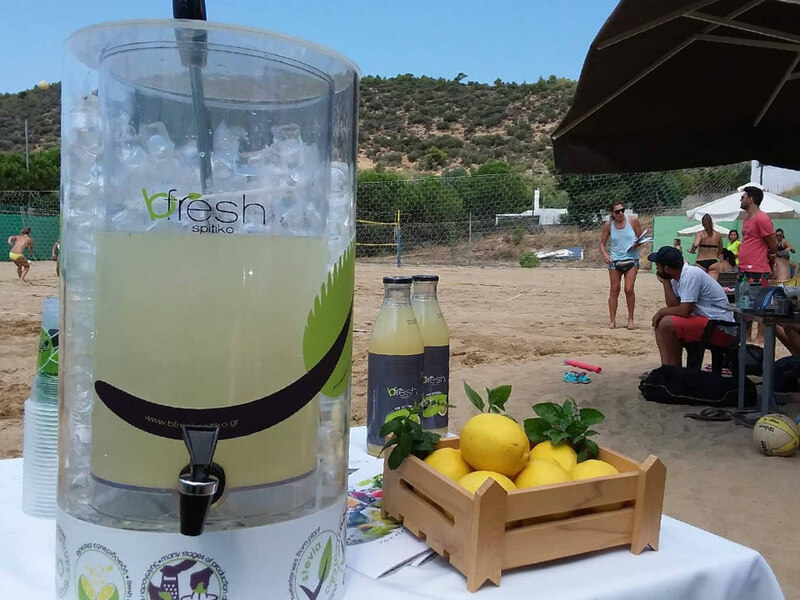 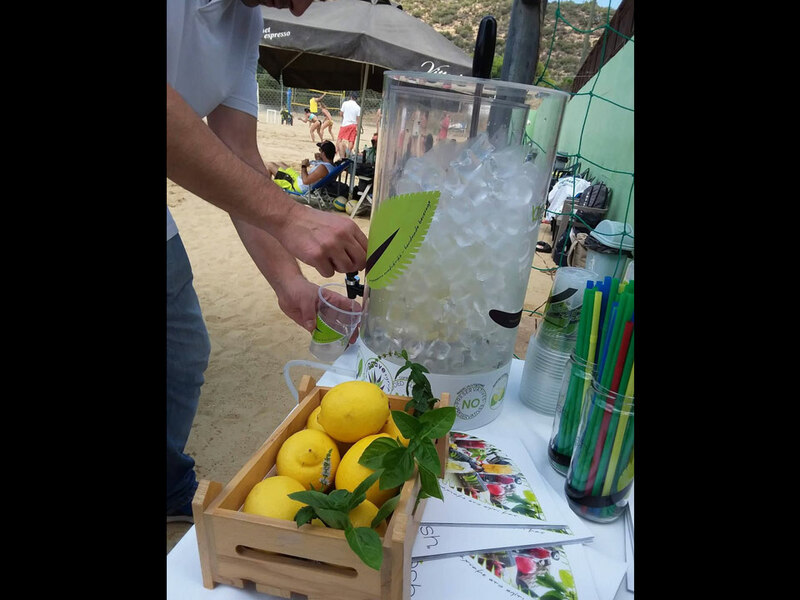 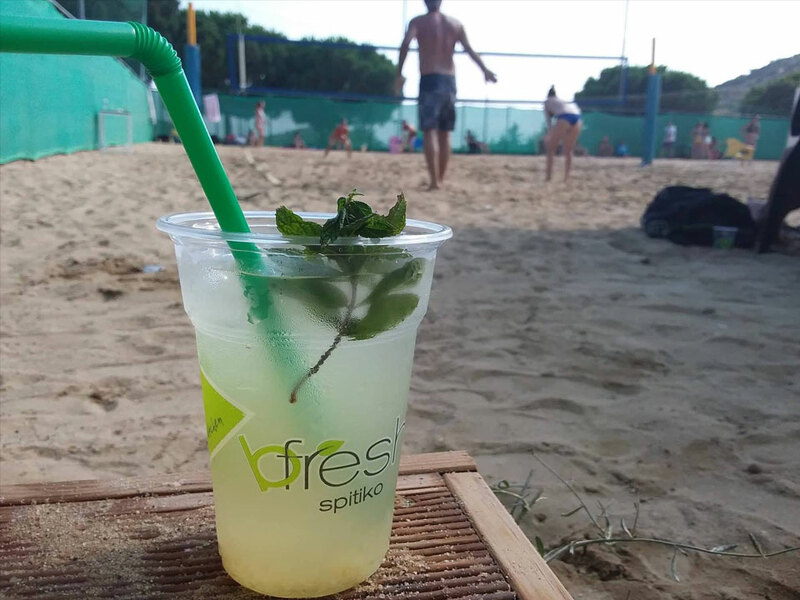 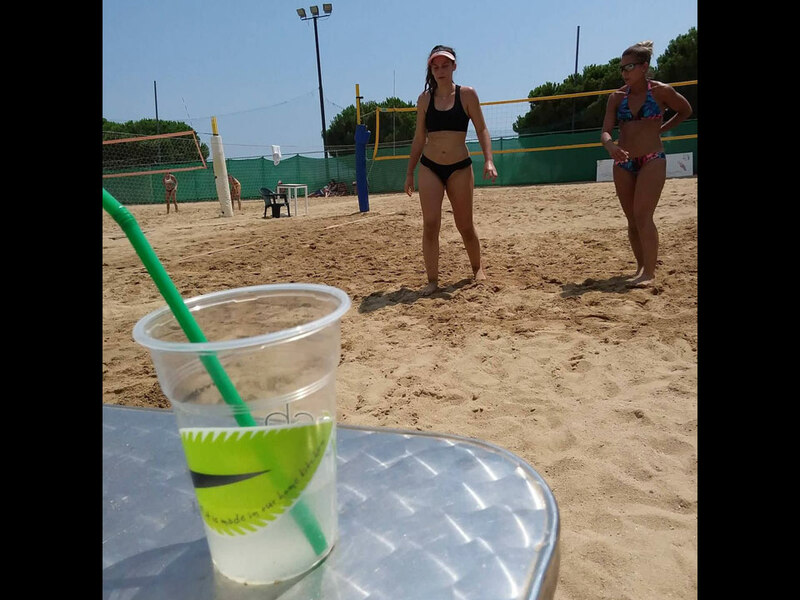 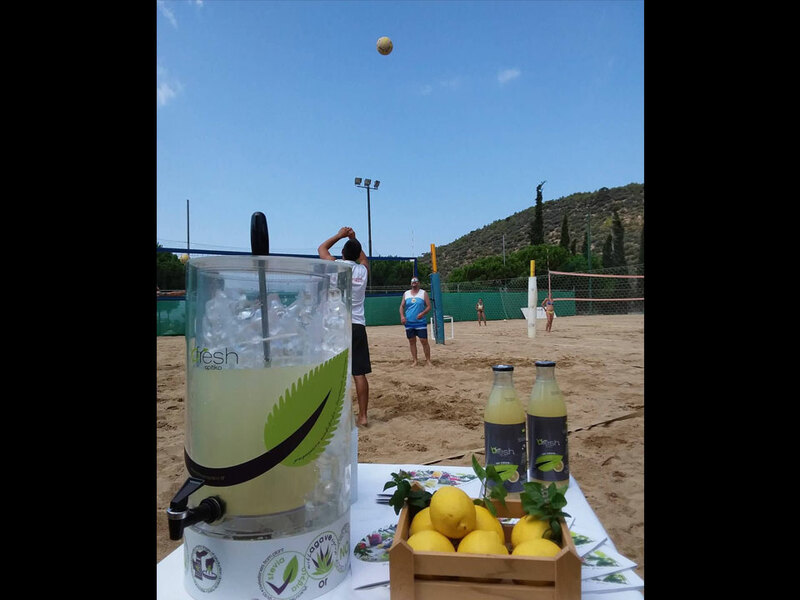 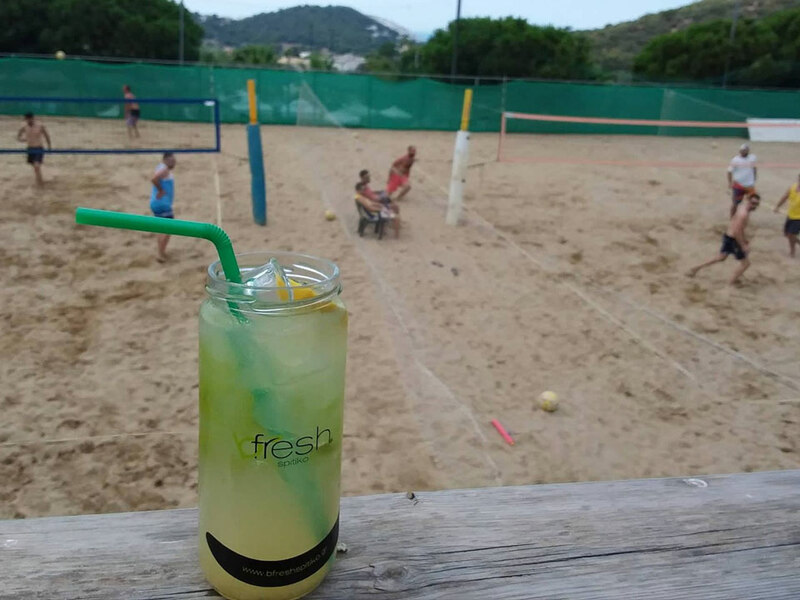 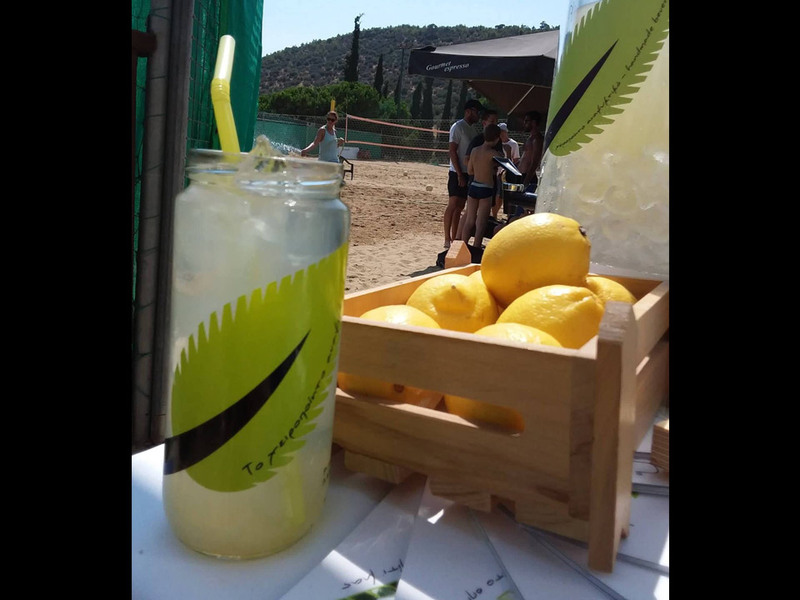 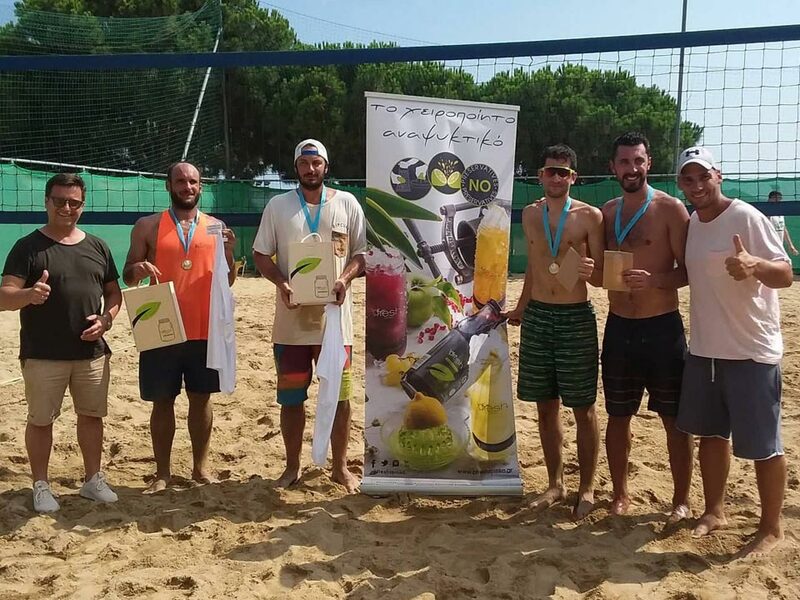 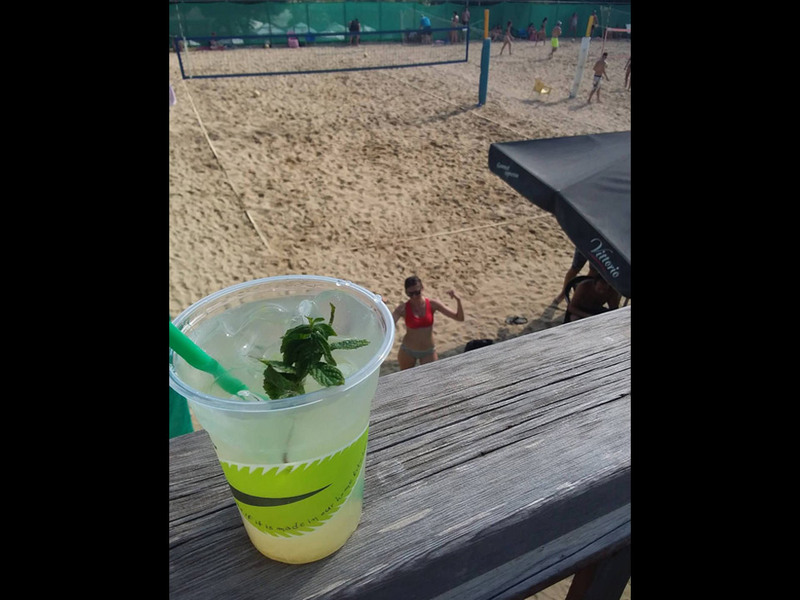 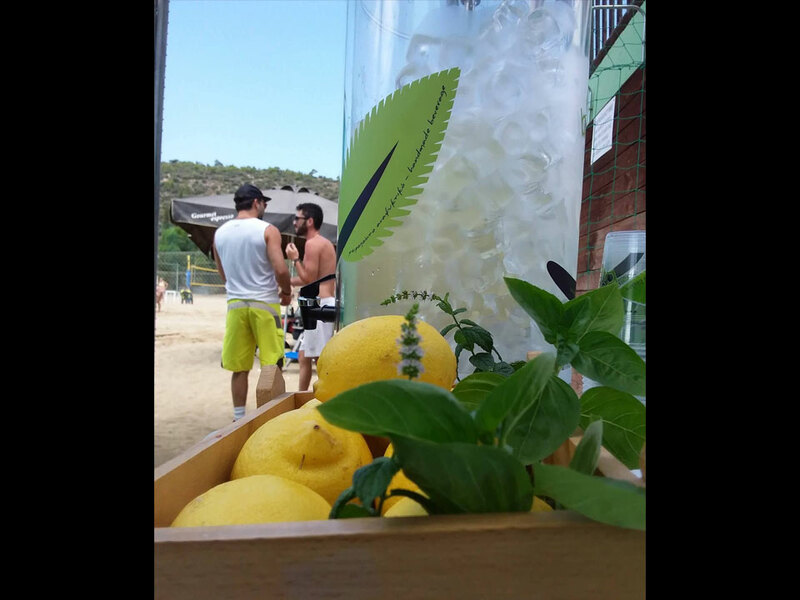 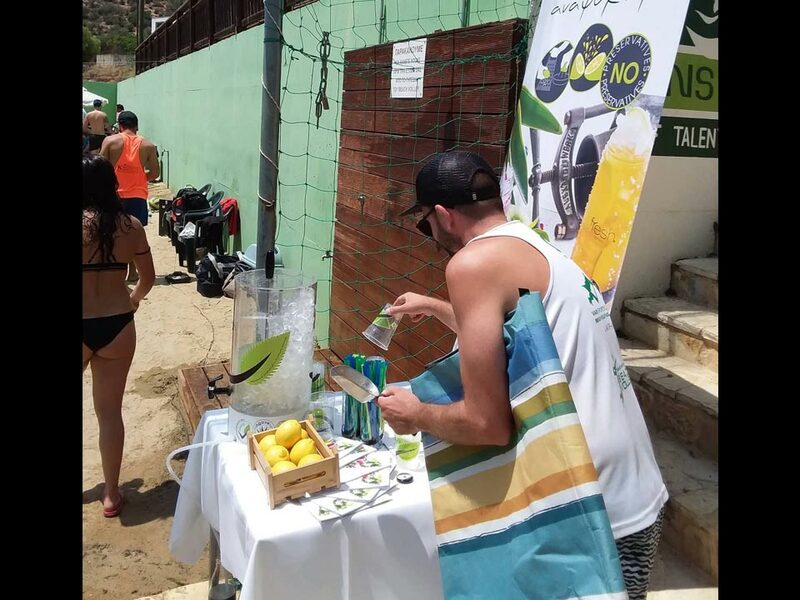 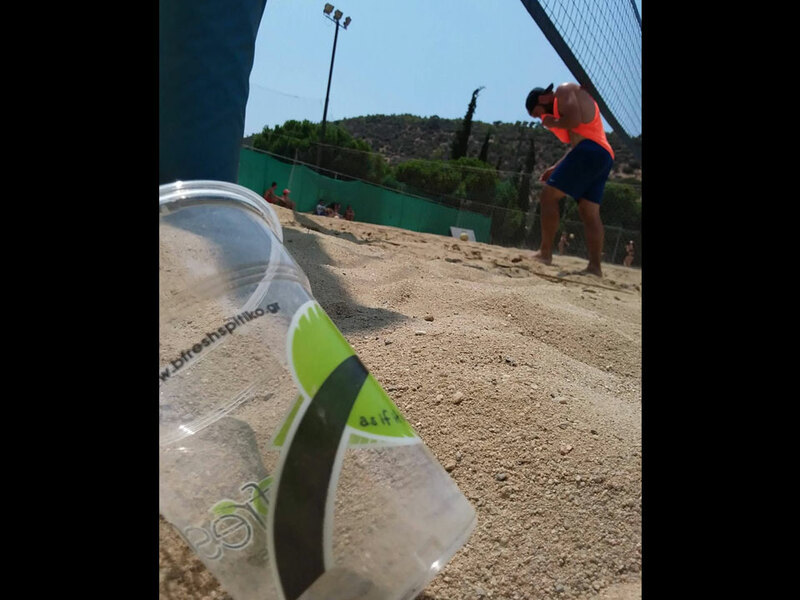 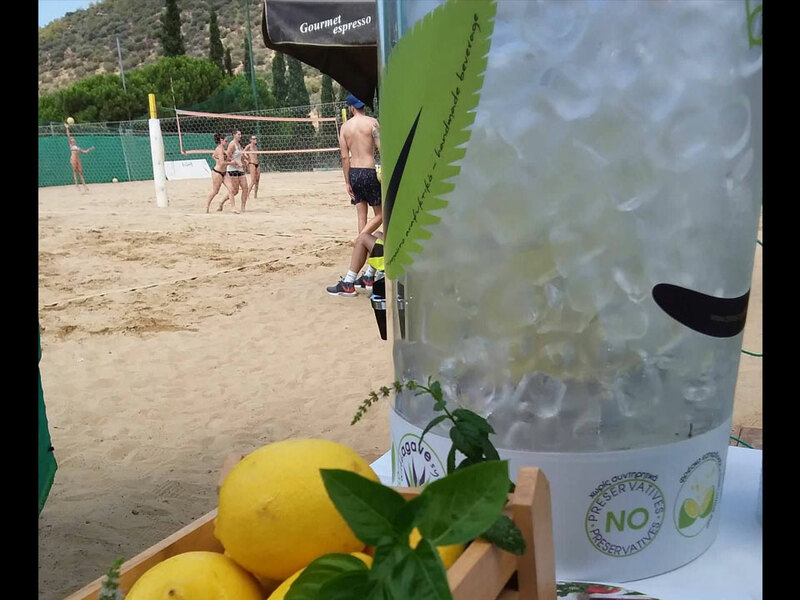 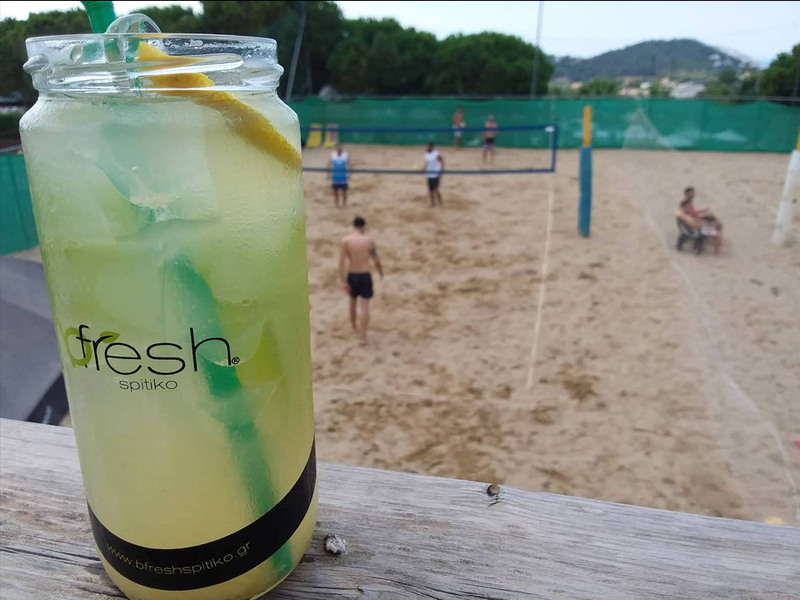 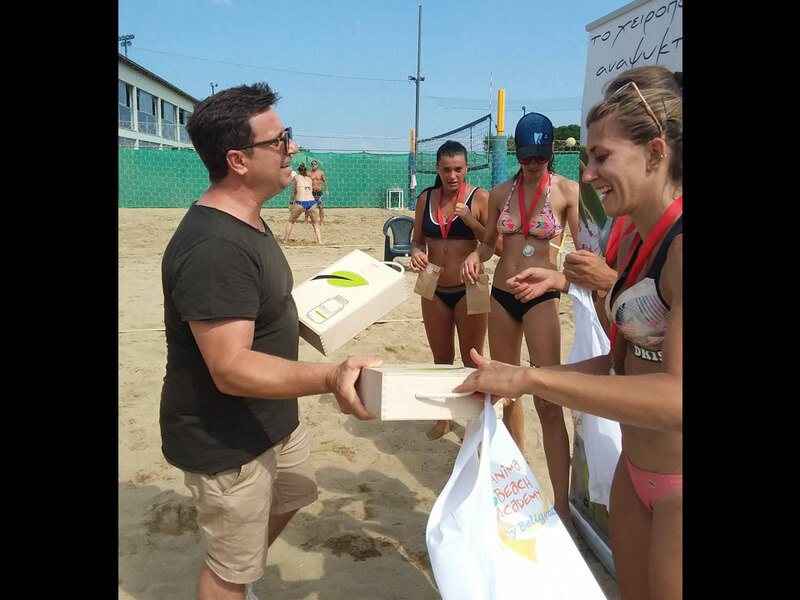 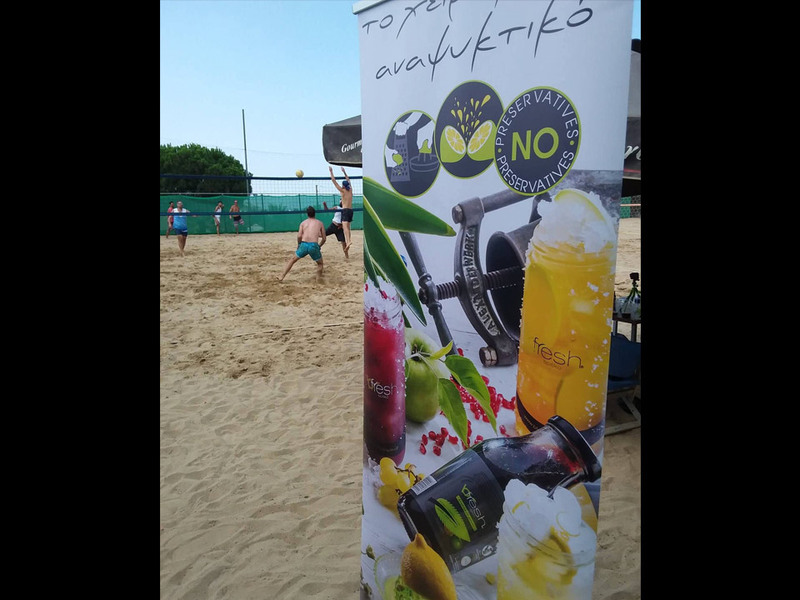 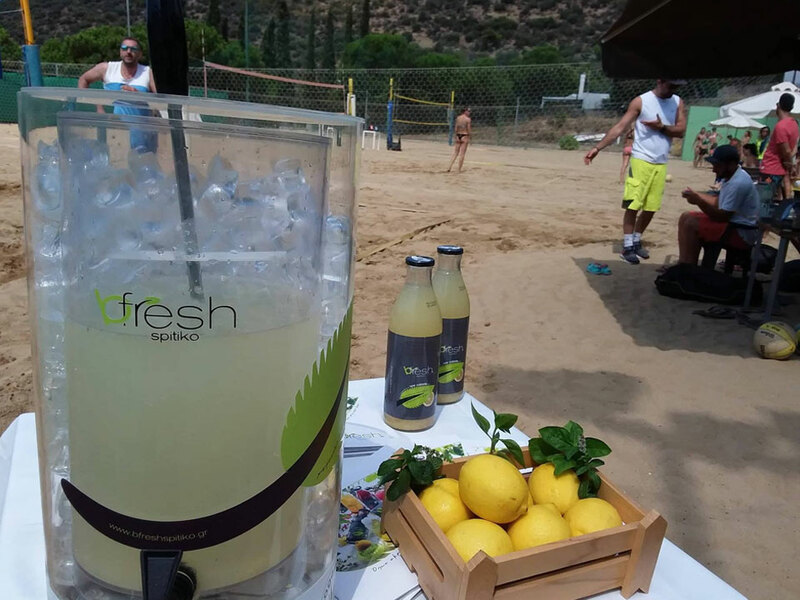 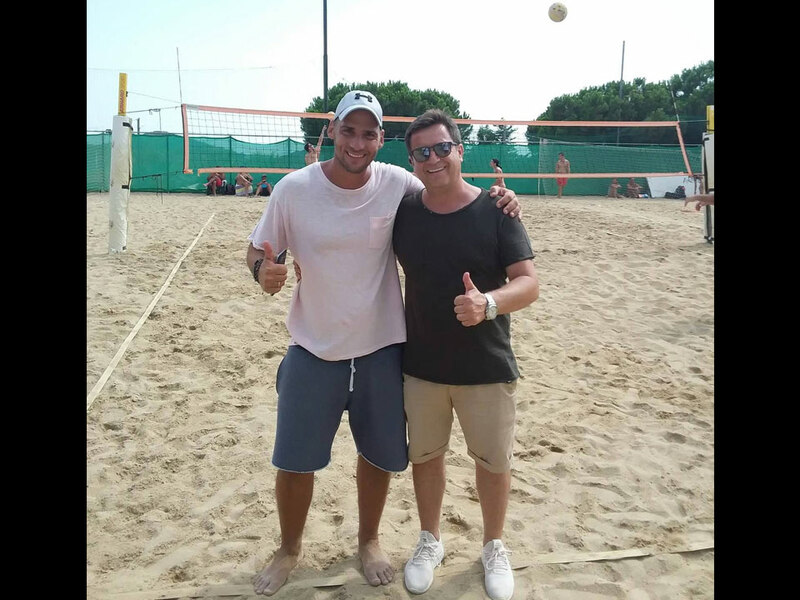 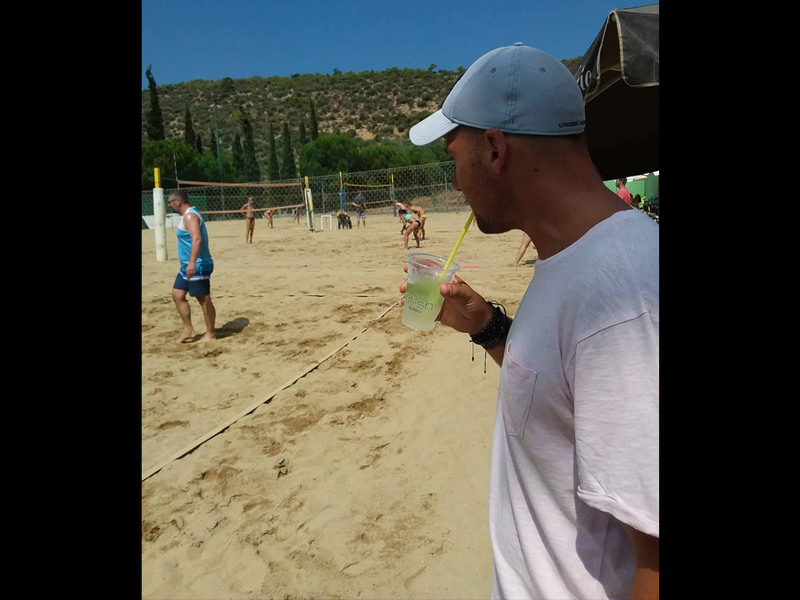 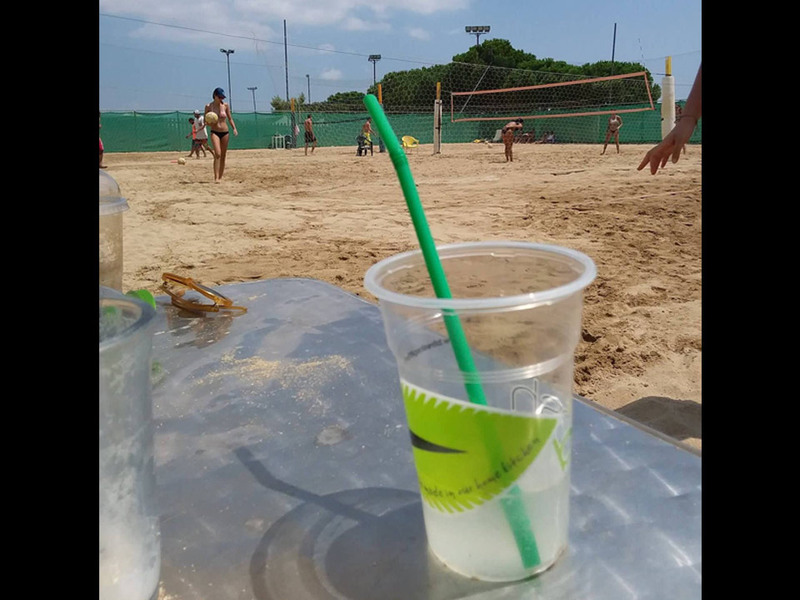 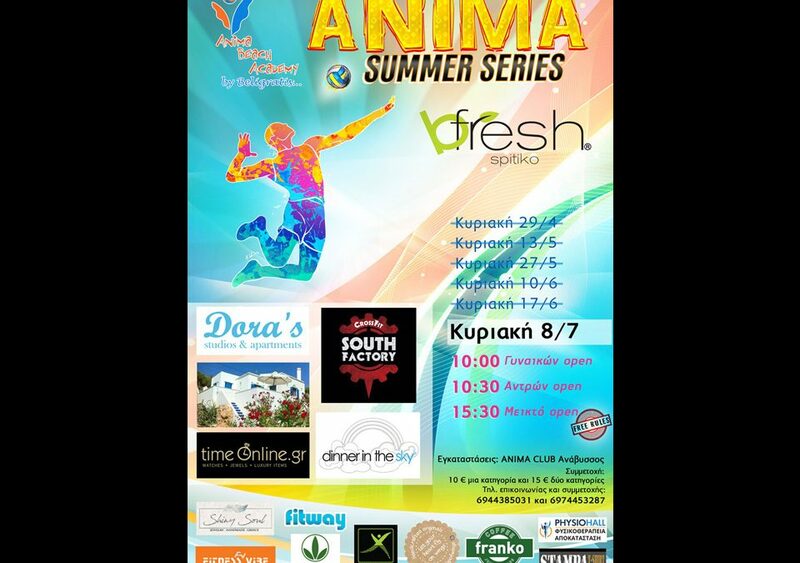 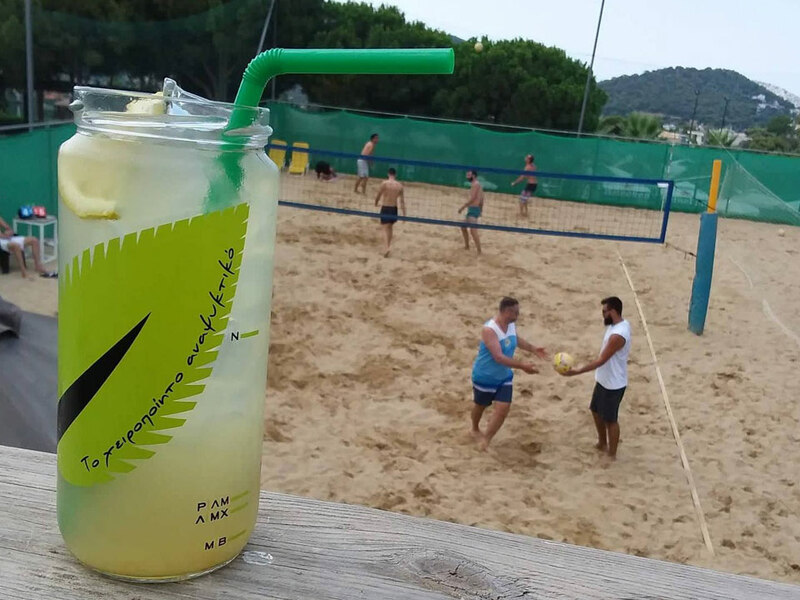 bfresh spitiko sponsored the Anima Summer Series beach volley tournament. 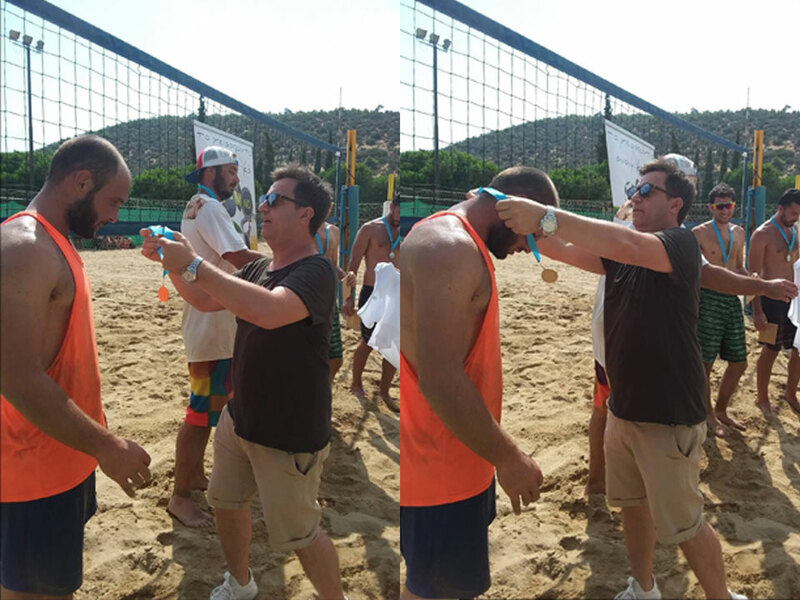 Despite the heavy rain, volley ball players didn’t lose the enthusiasm. 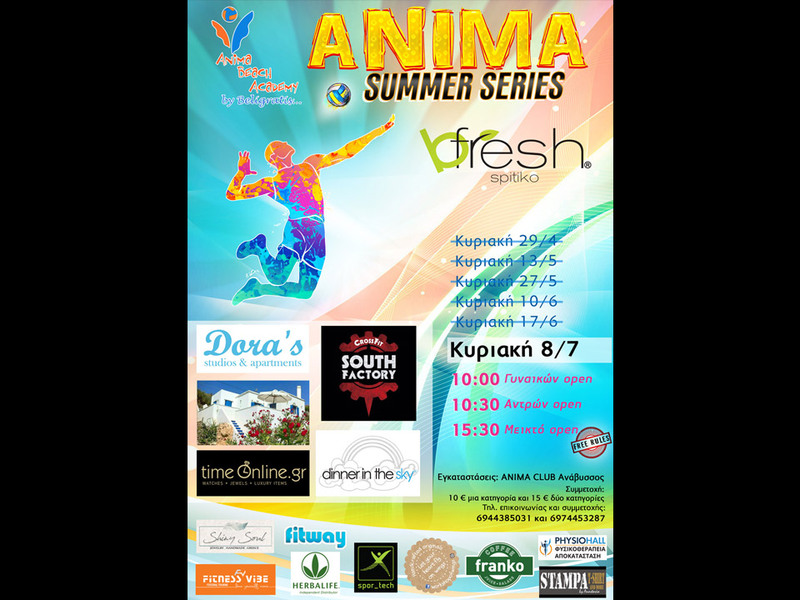 More than 140 players joined the Anima Summer Series tournament for this season, playing various impressive and fun games, sharing big moments with the crowd. 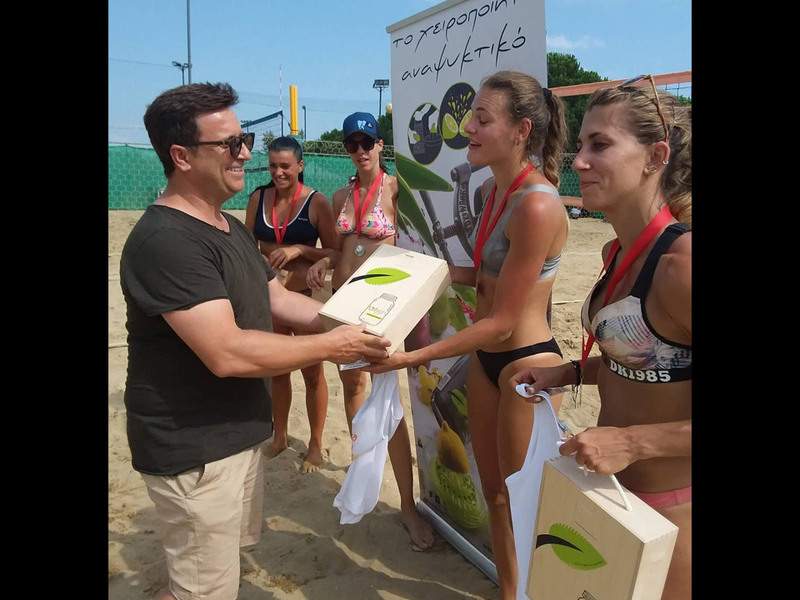 Vassilis Roubis, founder of bfresh spitiko, awarded kits of limited collection of bfresh spitiko products to the winners.